Gary Newgaard is the Vice President for Public Sector for Pure Storage. Gary was previously the vice president of public sector hardware sales for Oracle in North America. Prior to joining Oracle he served in senior level positions at PIXIA, EMC and Compaq, leading results driven sales divisions with consistent revenue growth. He has also been successful as an entrepreneur building startup organizations such as Paragon Systems and Intelligent Enterprise Solutions. He’s a multiple recipient of Federal Computer Week’s Fed 100 award and the industry advisory council’s prestigious Communications award. He’s also a long standing member of AFCEA’s board of directors. Fred Diamond: As we heard from the introduction, you worked for some of the biggest brands in technology. You’ve also had some entrepreneurial success as well, so I’m curious to learn a little bit about that. Let’s get right to it, Gary, why don’t you tell us what you sell today and tell us what excites you about that. Gary Newgaard: Pure Storage has really taken the industry by storm over the last five to six years on its track to a billion dollars which is pretty incredible success – using all flash storage. I think the most interesting piece about Pure is our evergreen storage model which says to the customer, you never have to pay for the same terabyte twice. You can upgrade the systems on the fly with no downtime, your maintenance stream is flat and fair, can only go down, would never go up and protects the customer’s investment. It’s sort of like the iPhone of flash storage which is proven out by the success we’re having in the market. The product sets of Flash Array and Flash Blade truly are systems that can keep up with the heavy demand of the compute environment in particular around artificial intelligence, ISR workflows where our Department of Defense and Intelligence customers are using video surveillance to identify threats that’s used both commercially and in public sector on a broad sense. And we have so much video that you have to comb through so you need something that’s exceptionally fast and resilient. We’re at six nines of up time all the time and distributed around the world. We have customers in just about every part of the world. My focus is on public sector which includes all the federal government, the Department of Defense, Intelligence, civilian agencies and also our state local business which is cities, counties, municipalities and obviously state government. 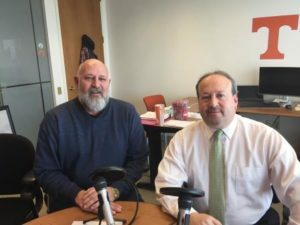 Fred Diamond: We’ve mentioned some of the places where you’ve worked before and you’ve had a tremendous career of success now running Pure Storage’s public sector business. Take us back to beginning, how did you first get into sales as a career? Gary Newgaard: My first sales job was working for Lanier. Lanier was the leader at the time in dictation sales, also word processors, and my first start was actually selling dictation equipment in telephone answering machines which shows you how old I am [Laughs]. Fred Diamond: Were you selling public sector primarily your whole career? Gary Newgaard: In those days I had both federal and commercial accounts. It’s 100% commission based. You had your inventory in your car and you were given a zip code and you cold called, kept your tickler file on three by five cards and continued working it, and working it, and working it. From there I moved into the computer market with Compaq. First, I moved into word processors with Phillips Information Systems and suddenly one day I got a three inch binder that told me how DOS was not the way of the future and that CPM was and we were operating on 8 inch floppies at the time and I lost one of my big accounts to this little known thing called a PC, happened to be at Compaq. And shortly thereafter I was working for Compaq and we were selling then just PC’s, then notebooks, luggables, then through acquisition Compaq was selling everything from handhelds to super computers. Fred Diamond: Interesting. So when you think back to that first job you said it was 100% commission, you said you had a territory you had to go explore. Now of course you’ve run some major sales organizations, some in the billions and of course some entrepreneurial stories. What are some of the things that you learned in those first few sales jobs that have continued with you till today? 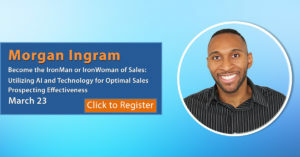 Gary Newgaard: I think the most important thing for anybody in the sales profession is that God gave you two ears and one mouth, and that you should always use them in those proportions. And that listening is a skill that has to be practiced and if you take the time to listen to what your customer or prospect is telling you, you don’t end up in a feature sales arena, you’re in a solution sales. Fred Diamond: Talk about that for a second – listening. We’ve heard that a couple of times of course on the Sales Game Changers podcast. Tell us some of your strategies for listening, maybe even some tactics. What are some things that you’ve done to truly listen to your customer? Gary Newgaard: I think for people that are entering into the sales arena, you have to formulate your game plan and your strategy based on your research of the customer and understanding what challenges they face, not asking closed-end questions, yes no questions, getting the customer to expose to you what the problem they’re trying to solve. The other thing I think for people that are entering into the sales profession is one, it’s hard work, OK? No longer is it the perception that it’s a three martini lunch of men and golf and cigars and maybe a glass of wine to seal a deal. It takes a lot more than that. First off, we operate at a very highly competitive arena. I like in it when I interview people that this is the NFL and you have to stay in shape which means you have to understand what’s going on in the market, be a student of the game. You have to do your homework and understand what your competition is doing, understand what your prospect or customer is trying to accomplish and be that person that can earn a position of trust as opposed to being a sales person. Fred Diamond: You’ve been selling in the public sector space for a large part of your career. We’ve interviewed some people on the Sales Game Changers podcast, Anthony Robbins at NVIDIA comes to mind and Lynne Chamberlain over at Red Hat. How important are relationships into the public sector marketplace and do you have some relationships that have gone on for 20, 25 years? Gary Newgaard: The sales game is a relationship game. You have to understand what’s going on in the market, you need to understand what your competition’s capable of doing. At the end of the day people like to buy from people they like and it’s going back to earning back that position of trust. We’ve had relationships that go back throughout my career from day 1, Tom Simmons, we worked together at Lanier. He’s still a dear friend of mine, he’s still a business associate of mine, he was at my wedding, that’s how far we go back, 35 years. Fred Diamond: He’s running Citrix’s public sector still, correct? Fred Diamond: Let’s talk a little more about you. Gary, what are you specifically an expert in? Tell us a little more about your specific area of brilliance. Gary Newgaard: I’m not brilliant in any form or fashion, I think the thing that I’m good at is building teams and by that I mean if I’m the smartest guy in the room, whoever I’m working for is in a lot of trouble. The best way to be a success in this industry is to surround yourself with exceptionally bright people and enable them to lead their organizations and be there to coach and mentor, help set the strategy. Many times at a senior level you’re more like the NFL coach or the guy in the box that’s laying out the strategy, adjusting the game plan as you move through the game. People get hurt, people deal, stretch out, they don’t come in when they’re supposed to come in so you always have to have your plan and your plan B and C to fulfill and meet your obligations that you have to the company you’re working for. Fred Diamond: To have reached the level of the senior level that you have, especially in a nice, long, successful career, you must have had some successful mentors. Some that have been impactful to you along the way. I just asked you what are you specifically an expert in and you mentioned your ability to build teams. Why don’t you talk about one or two of the impactful sales career mentors that you’ve had along the way, and tell us how they impacted your career. Gary Newgaard: Well there have been countless but as we were prepping for this interview two came to mind. Both of them worked with me at Compaq. The first was Randy Forster who was my director of the east and actually was the first guy to promote me into management rank. Randy taught be about being a good manager and also a leader, and leading from the front. You don’t lead by sitting in your office, you need to be out, about, working with your business partners, working with your sales teams, working with the marketing, the PR teams. You just have to stay engaged and be willing to be that person that can take out the trash and also stand up and give a speech, but be available, be visible all the time. The other was another former leader at Compaq Computer and that was Don Weatherson who you remember, and I’ll tell you the thing that Don really taught me is have a plan. Be disciplined in your planning process and he also taught me about running a business at a P&L level because eventually Compaq federal was holding on subsidiary, reporting into internal board of directors and we did operate on our own P&L. I learned a lot of running a business from Charles Matthews, one of my business partners at Paragon. Brilliant business leader, he and his partner Pat Krause still doing all the SaaS business for public sector. Fred Diamond: Gary, what are two of the biggest challenges you’ve faced today as a sales leader? Gary Newgaard: I think anybody in leadership roles the hard part is finding great people and hiring great people and then enabling them to really over achieve and help move them through their careers so staffing is something that you have to do every day. It’s not something you do when you have an open rec, we’re continuously networking, making new friends, getting leads on qualified people, LinkedIn is a great social media way to meet people and stay abreast to where the shakers and the movers are so I think the hardest piece, you’ve got to surround yourself with really strong staff. The other piece for anybody in public sector, the biggest challenge I have right now is getting a budget passed. We’re going through a change in particular in the federal government like I’ve never seen. The last thing I saw that was this disruptive to federal business was sequestration. We’re definitely in a sea change with this administration. Fred Diamond: You’ve been selling to public sector for the vast majority of your career, kind of take us off course for a little bit but what is it about this marketplace that has inspired you to continue offering valuable service to them over the years? Gary Newgaard: The think I love about public sector business is that it’s all about mission, and whether it’s a mission to solve or find a cure for a particular disease or the mission of the department of defense or homeland security of protecting this great nation at the state and local level it’s providing service to the citizens. You’d look at places like Utah which probably has some of the most advanced systems and reach out to their constituency but at the end of the day they’re all about mission. It’s not necessarily the P&L and the thing I also love about both the federal and the state and local market is that they lead and they are very advanced in adopting new technology which ends up serving all of us with our tax dollars in a better way. Fred Diamond: Over the course of your career you must have had thousands of sales transactions, of deals that have closed, of customers that you’ve sold to. Take us back to the #1 specific sale success or win from your career that you’re most proud of. Gary, take us back to that moment. Gary Newgaard: One that stands out on my mind was I was a rep selling word processors for Phillips Information System and individual contributor role and I was working on an account, Mackie vending machines which also own the Pepsi bottling up in Maryland and I was competing against Wang. Wang at the time was by far the #1 market leader. And the rep I was competing with was driving up in her beautiful brand new Mercedes two seater coupe. At the time, I was very new in my career. I was driving 1968 Ford Galaxy 500, that was a gift from my brother because my car had busted and I think for sure I was the underdog and going back to why was I successful, it was a large enough order that it actually helped with the down payment on our first home. The solution’s probably very comparable moving bits around on the screen to form words and rearrange paragraphs but I worked with the customer and I’ll never forget his name, Pablo Ramirez, and earned a position of trust with him. And at the end of the day I think that’s what carried the win. It was a long sale cycle, it wasn’t a three month campaign, it was probably even more than a year and again, strategizing, working with my peers, working with my management team in particular the customer service reps and the support reps that were helping. It was a team win but it was also probably one of the most gratifying of my career. Fred Diamond: Do you still keep in touch with anybody who was involved with that sale? Gary Newgaard: Most of those people have moved on. [Laughs] Wang is gone. Fred Diamond: It’s kind of interesting, when we ask that question, Gary. In some cases the deals were 30 years ago and the sales leaders that we speak to on Sales Game Changers always remember those people and they often remember them with a debt of gratitude. In a lot of cases the customer guided them through the deal or gave them information or trusted them so much that they helped them become successful. Gary Newgaard: That’s true, that’s absolutely true. In particular with that account, with that campaign, the marketing support rep, Mary Blair, my manager was Jeff Stilly, the branch manager was Larry Megar, and it was a great team win but it was also one of my most gratifying. Fred Diamond: Gary, you’ve told us some great stories. You’ve had a great career in sales. Did you ever question being in sales? Was there ever a moment where you thought to yourself, “It’s too hard” or “It’s just not for me”? Gary Newgaard: Never. This as I said is at the level that we’re playing at. The competition is the best in the world and being able to compete at that level and be successful is probably the most gratifying thing I get to do every day. Fred Diamond: Gary, what’s the most important thing you want to get across to junior selling professionals to help them take their career to the next level? Gary Newgaard: I think like all of us, time is a very precious commodity and you have to use your time very wisely. Your competition is going to use it very wisely as well so you have to be prepared when you go in. Don’t go in and try and get into a feature war with your competition. Features ebb and flow, you may not have the feature of the day and in 90 days you will. Your competition is going to use that to exploit your vulnerabilities so it’s more if you go in and listen. Again, listening is critical to the sale world and listening is critical to success in any job so understand what problems your customer is trying to solve and come back with solutions that are not feature oriented. People want to and do buy solutions, not just on features. And unfortunately early in my career they always teach you feature function benefit. Feature function benefit, which when you add them all up it comes out as a solution but I think your campaigns will be more successful if you focus on the solution piece than you do on the feature function. And when you have a good solution, price is not the most determining factor in the success of a campaign. Fred Diamond: What are some of the things that you do to sharpen your saw and stay at the top of your game? Gary Newgaard: Well, I said early in the interview, Fred, that you really have to be a student of the game and the IT world changes every day which is why it’s so exciting. People were only talking about artificial intelligence 20 years ago, now people are actually using artificial intelligence to help solve problems. The other piece is be a willing partner with your channel partners, with your business partners, be engaged, help them all the time. How many times have you and I talked, we reached down and said, “Hey, what do you think about this?” And being available to – again your customer is going to call you and ask you what do you think about that which is probably the ultimate compliment when your customer asks you what do you think about this. And it may not have anything to do with the IT world. Gary Newgaard: The thing that we’re trying to do is really help build out our channel distribution. The channels and many of our business partners have long standing relationships with our competition and obviously they have choices and when you come in and are disruptive to a business relationship, it puts the business partner at risk. And we have to make a compelling event for them both financially in the form of margin, also be a great business partner which we are and supporting the total solution that the customer’s looking for. Obviously we don’t sell all the compute or all the software that makes it all work but we do make it better. So that is a big focus, working on our channel, the artificial intelligence world we mentioned Anthony over at NVIDIA, we happen to have probably the best and only solution that can keep up with NVIDIA’s high end servers and that sort of leads you into the artificial intelligence. And in particular with the department of defense and intelligence world supporting the ISR missions of keeping track of things that are moving around on the earth. Fred Diamond: Gary, sales is hard. We talked today about some of the macro challenges, you mentioned sequestration before where the government just shuts down and says, “We’re not going to spend anything right now.” And understanding how the budget processes change. There’s also micro level things, customers don’t return your emails, partners shift, people move on to other places, customers’ demands of change and needs of change. Why have you continued? What is it about sales as a career that has kept you going? Gary Newgaard: Touching on this earlier, it is an exceptionally exciting career. It’s not like you go to a hospital every day and do X-rays, the technology moves so fast, the customers are moving so fast, the relationships and new relationships get forged every day. It’s been very rewarding. Sort of like the Jimmy Buffet line, all the people and all the places, I never would have dreamt that I’d have this experience in my life. Fred Diamond: Gary, give us a final thought to inspire the listeners of today’s podcast. Gary Newgaard: My best advice to anybody that’s in the sales capacity or starting on a career or even people that have advanced through the early stages to mid stages is be a trusted partner. Don’t be a sales person. Sales people come and go and customers particularly in public sector they don’t come and go so often. So again that position of trust and understanding the business, reasons and motivations for our customer set which in public sector is always about the mission is how do you earn that position. It is very difficult to get and it is really easy to lose. And don’t try and compromise a trusted business relationship over a deal. There’s always pressures for quarter end, month end, whatever the end is, the clock is always ticking for any sales person. Don’t compromise your position to get a deal done. It’ll pay you huge dividends in the end.